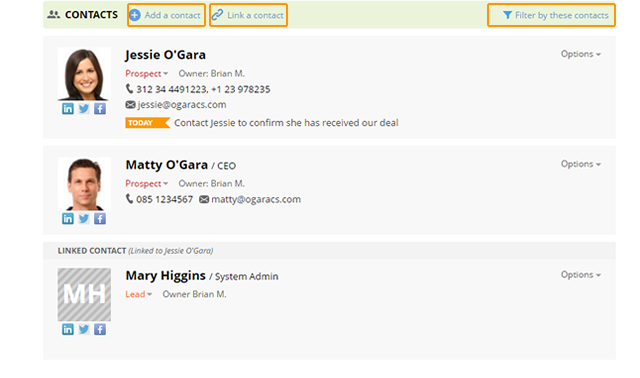 If you have more than one contact in an organization, OnePageCRM creates an Account view. An account view is created automatically if multiple contacts have the same organization name. 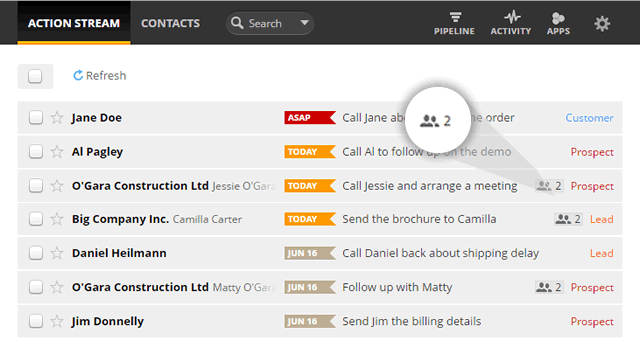 The Account view page displays the information associated with the organization (description, phone number, web address, & custom fields) along with the activity added to all contacts (deals - won / pending, notes, call notes, emails, actions and updates). In the Action Stream, click on the account view icon. In the contact page click on the organization icon. On the Account view page, you can view the following: Organization details, deal summary, contact details, Pending deals, Activity timeline. Add a contact to the organization. Link a contact associated with another organization to the existing organization. Filter by existing contacts associated with the organization. View the list of Pending Deals for all contacts in the organization. View a consolidated list of the activities and by specific activity type for all contacts in the organization. 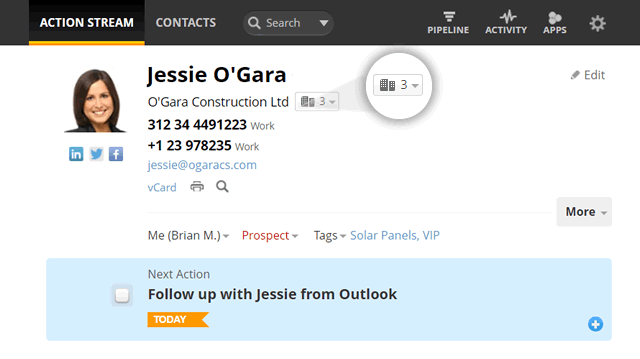 Pending deals and activities of Linked contacts do not appear in the organization account (Account view).